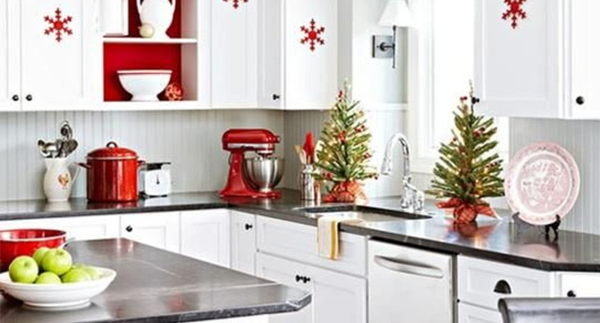 Yes, it would be great to have a brand new kitchen with a lovely granite worktop to show off at Christmas, particularly if it’s the one time of year the family come to you in Hampshire. And if that’s what you want, we’ll do our best to make it happen. However, you’ll probably feel more relaxed in your existing kitchen – particularly if you know that no matter what mess or damage occurs, it’ll all be sorted out and made lovely by the end of January. You can show it off next year, instead. We’re not suggesting you cook multiple meals (one Christmas dinner is more than enough!) but if you know who is doing Atkins and whose children need to cover everything in ketchup, you’ll be ready to handle any questions. And if you’ve asked well in advance, you’ll be completely justified in sending your nephew to make himself some toast if he chooses Christmas morning to announce a conversion to veganism. If someone asks if they can bring something, say yes and give them a task. This is particularly handy if they have a fussy eater in their party, as they’ll be more confident eating familiar food. Don’t slave in the kitchen on your own if you find it lonely and boring. Open a bottle of wine (to cook with, naturally) and offer a glass to anyone willing pull a chair up to the granite worktop, peel potatoes and chat while you whip things in and out of the oven. Presumably, you rather like the people filling your house, and would like to celebrate the holiday with them. Sticking to recipes that can be prepared in advance will give you more time to spend with your loved ones. If you’re worried about running out of fridge space, a marble or granite worktop will help keep things cool, and Hampshire weather means that items left outside overnight will typically be held at 0-10C, which is around fridge temperature anyway and fine for a few hours. Keep wine, soda and other non-perishables cool outdoors in a bucket of ice. Back in the good old days, rich people had professionals to do their cooking, and the rest of us managed as best we could. For many, that meant buying in hot food or getting the joint cooked at the bakery a few days in advance. So don’t beat yourself up if dinner is a hour late or you can’t manage a Downton style spread or decided to outsource your cake making to M&S: do what makes the day pleasant for your family. It’s a celebration, not a marathon! 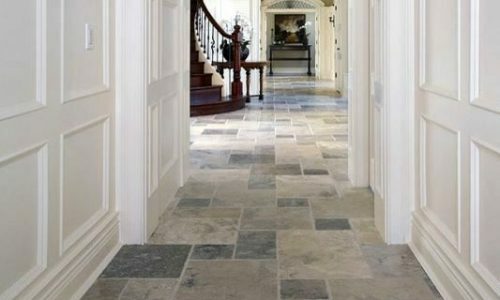 Limestone is easy to care for making it a great choice for kitchen worktops, bathroom tiles and flooring indoors and out. Ideally, limestone should be professionally sealed. As well as making it easier to clean and care for, this ensures that no bacteria or dirt can get trapped in the surface and reduced the chance of scratches and stains.